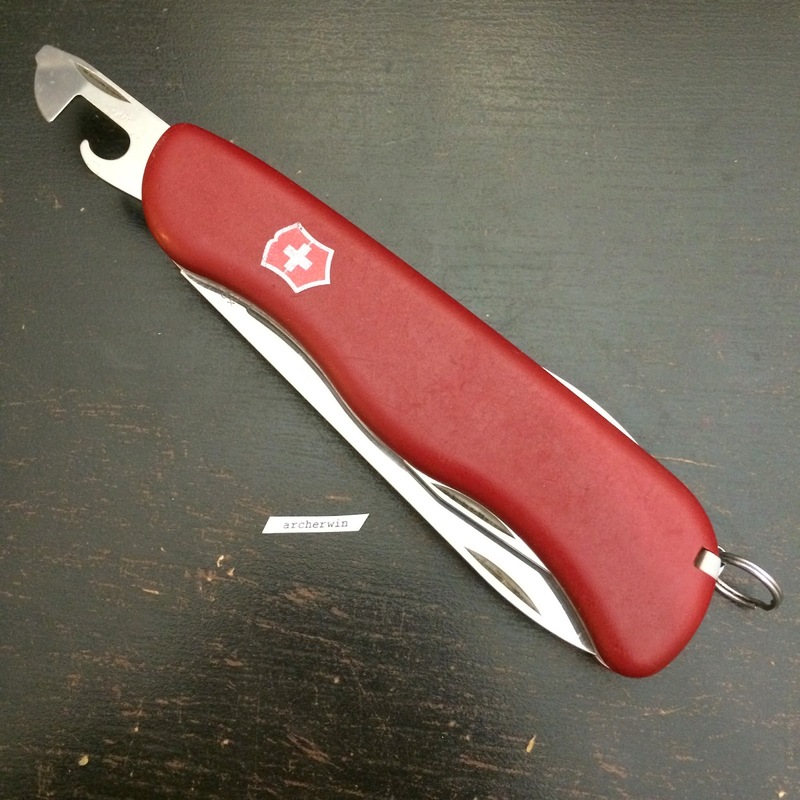 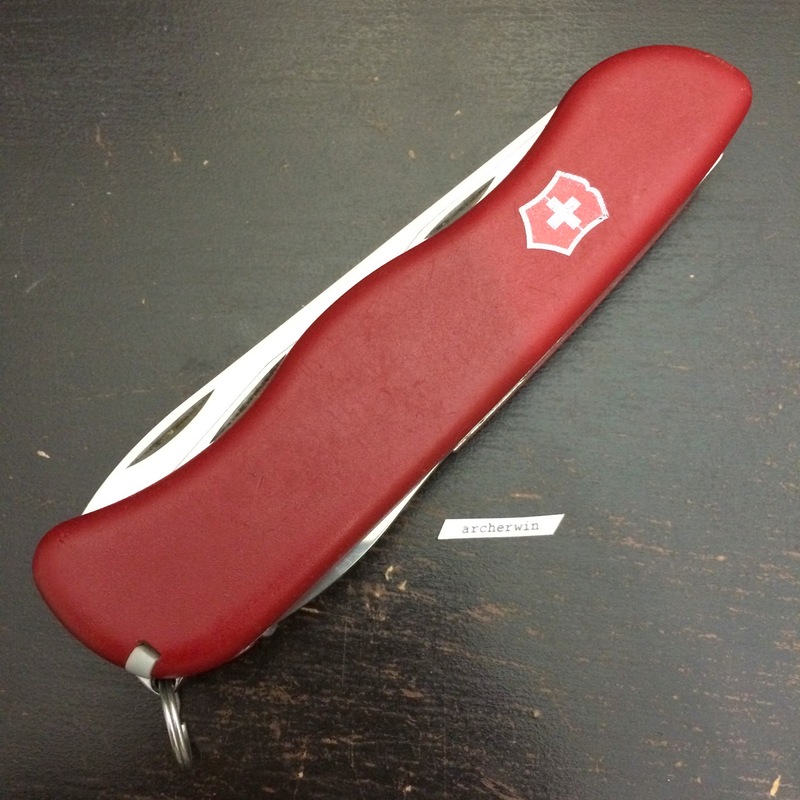 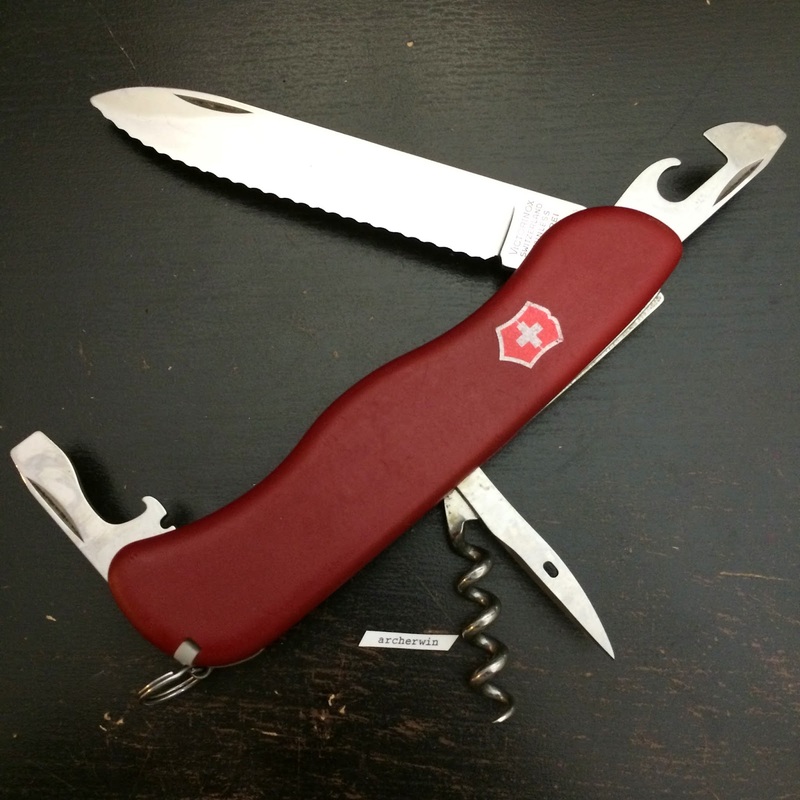 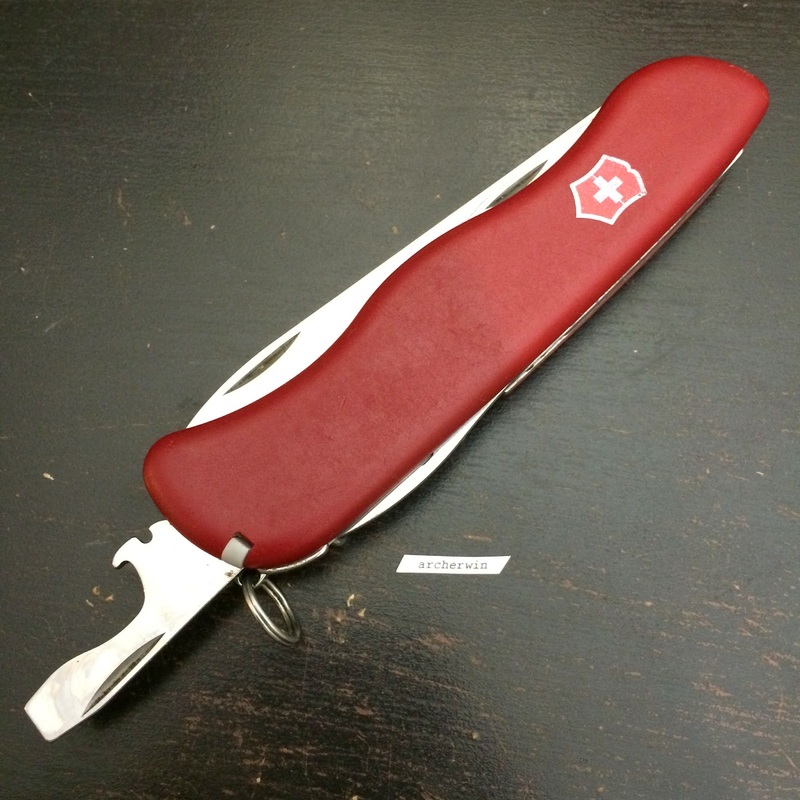 The Victorinox Picknicker is a two-layer 111mm model with a large side-locking main blade. 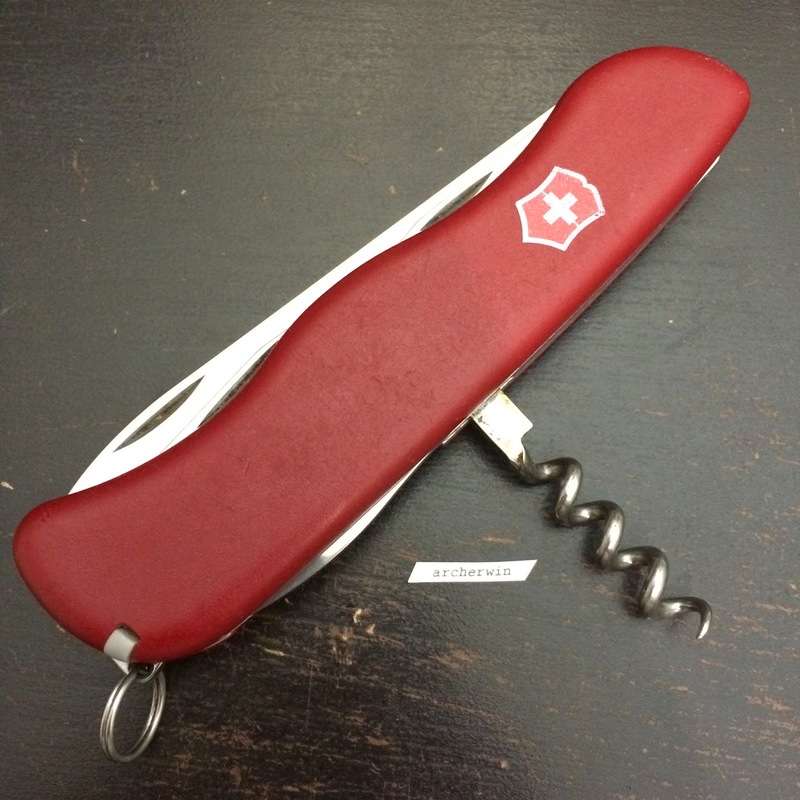 It also has the opener layer - can opener and bottle opener and the awl and corkscrew in the back layer. 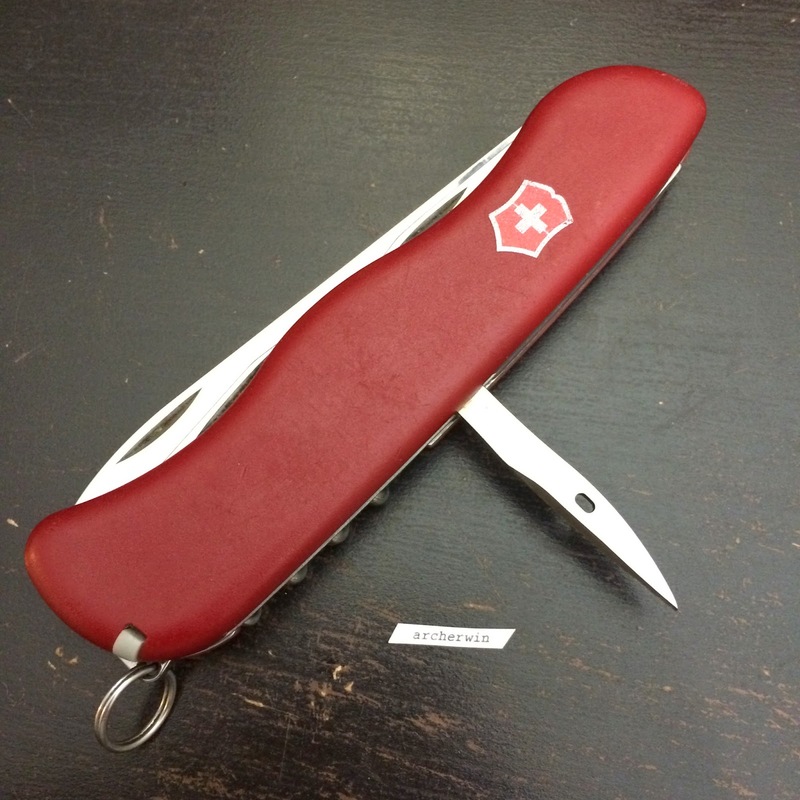 Tweezers and toothpick are also included in the scale slots. 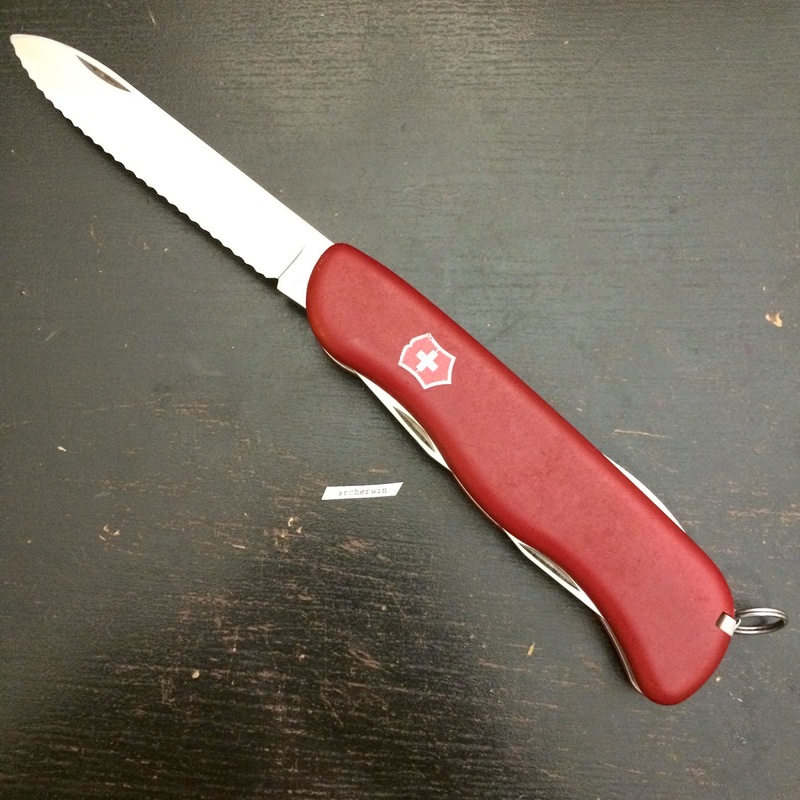 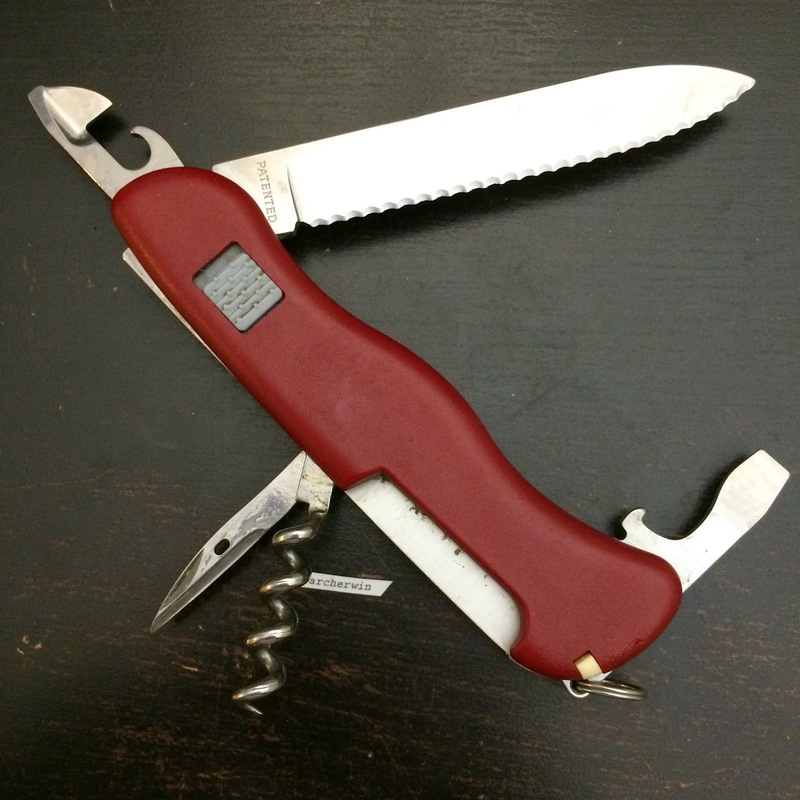 The Picknicker is one of the few 111mm Locking blade knives released by Victorinox in the 1980s and included in the 1989 Swiss Army Brands (SAB) Catalog. 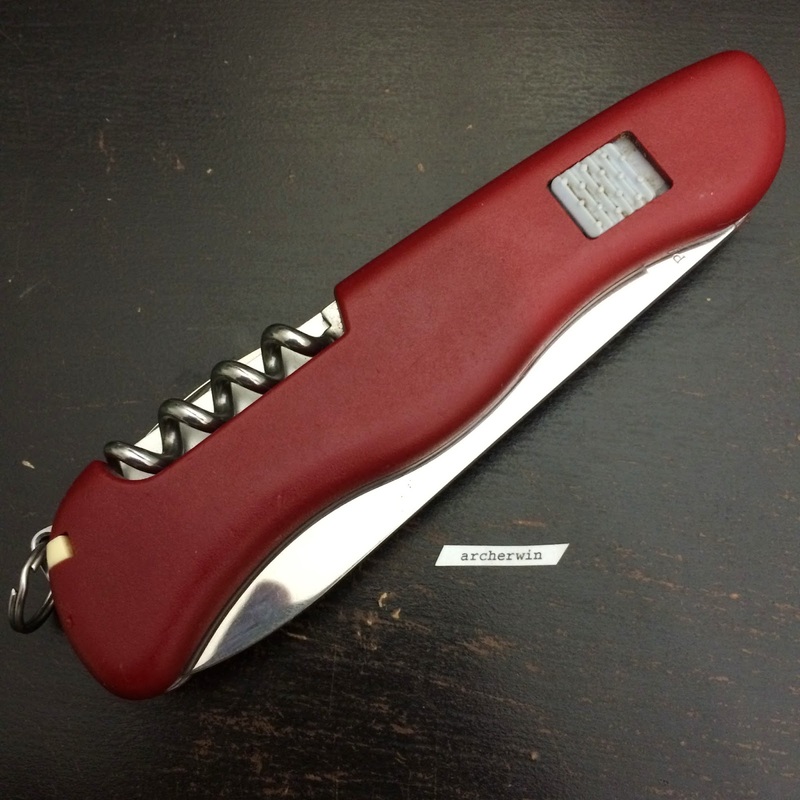 It has been popular since then and continues to be in production (current as of 2015).